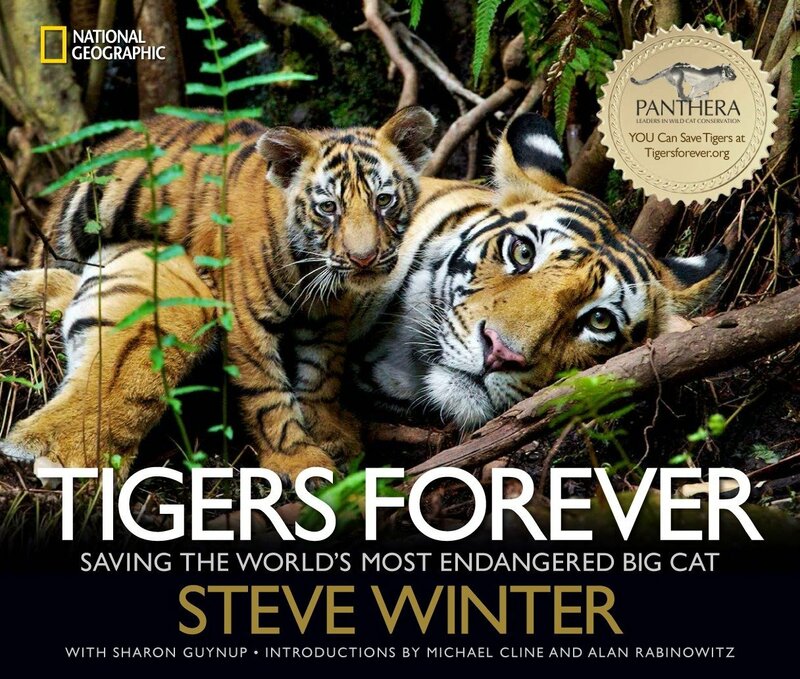 Tigers are in trouble and National Geographic photographer Steve Winter is on a one-man mission to address the plight of this magnificent cat – while there’s still time. Together with Panthera, the world’s largest nonprofit organization dedicated to saving big cats, and its Tigers Initiative, Winter reveals a decade worth of stunning images and stories of tigers in their world. In Tigers Forever, readers follow Winter through Myanmar’s jungles in search of tigers into the forbidden realm of poachers in Sumatra and witness the breathtaking intimacy between a tiger mother and her cub. Winter’s gripping images, along with co-author Sharon Guynup’s eloquent prose, tell the dramatic story of the tiger’s fight for survival and the lengths to which one man would go to bring that story to the world. 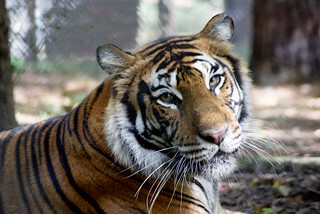 Above all else, Tigers Forever reveals the tiger itself: elusive, majestic, ferocious, powerful, mysterious, and in desperate need of our help to survive.